Happy February everyone, welcome to the Daily Pledge on the Celebrations & Events page where we can meet daily to take another person's hand and make our commitment stronger. How to pledge: click on the Comment bubble and make your pledge to the person at the end, immediately above you, offer your free hand to the next pledge and you've made your pledge. As you go through your day you know that you have these two people with you, all of you keeping each other strong How cool is that! 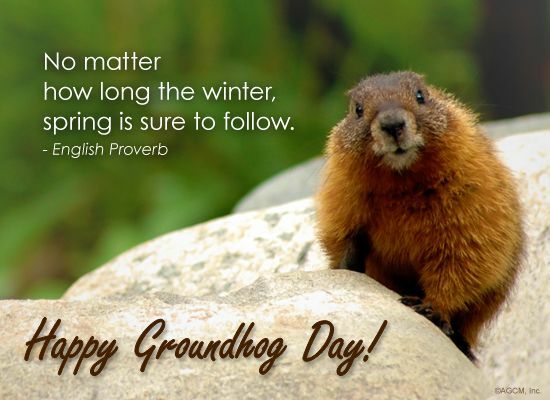 Thursday, February 2nd is Groundhog day. Will he see his shadow? February 14th is Valentine's day, Love your Quit! Thanks for moving this over, Mark. Here is my post from the locked page, responding to Darren, who had posted before me. What do you think about moving the other early pledges over too, if it's not already in process? Good morning, Darren. I truly appreciate your hand this morning. I take it in friendship and commitment to not smoking today, no matter what. Here is my hand for the nEXt to pledge. Terrie_Quit - this is the best pledge page ever. @c2q. They can't be moved over unfortunately. I will take you hand Marilyn as I pledge not to smoke NMW and I offer my free hand to the next to commit! As you will notice there was some confusion in the pledging this morning because I was not sure what to do so we had pledge's in 2 different places and Mark couldn't fix my mess so I copied and pasted the other pledges here. Happy February 1rst everyone! I am not real sure if this age is in the right spot, so I hope you can find it until Mark gets it fixed for us! I pledge not to smoke and I offer my free hand to the next person that would like to commit! Good morning, Terrie! I'm pledging twice today....Once on the old and now on this new and beautiful February pledge. I found this under "content", which is where i generally land when i visit the site. I gladly take your hand and pledge not to smoke today no matter what. I hold my hand out for the next in line to join us and pledge. I am so sorry for this confusion!!! Thanks for your hand Marilyn who will take mine? Oooops. Meant to say NICE JOB on February's pledge, Terrie! Good Morning to all! Giulia, thanks for your hand. I'll hold on as I pledge that I will not smoke today no matter what! My other hand is held out to the next in line. good morning, Sharon I will take your hand, pledge not to smoke, and tend my free hand to the next person in line. Good morning dear Daniela, I am happy to take your hand this morning as I pledge not to smoke today, no matter what. I offer my free hand to the next person who would like to pledge. Oh NOOOOOO, here we go again, I HATE dangling, don't understand why two people grab the same hand and one is left to hang...that said, Susan, I am honored to take your hand this morning as I pledge not to smoke today, no matter what. My other hand is available to the next person who would like to pledge and if someone gets in here before this posts...so be it, I will be the dangler. Hi Susan, yesterday was your 1 year anniversary, wow, congratulations to you!!! What a wonderful achievement! feb, 12,,, lincolns birthday same as mine.. @ terrie. I gladly take your hand jim and pledge not to smoke today and hold my other hand out for the next person to pledge.. joe 479 d.o.f. I gladly take your hand freeneasy and hold on for strength and give you strength as I pledge to not smoke for today and offer my free hand to the next in line to pledge. Mags, I warmly take your hold your handay, and offer my hand in pledge not to smoke today, and offer my hand to the next in line. I got your hand and proudly pledge to not smoke..not today Nopereeeeee !! I reach out to next to join us in this great commitment!! Lets win another day. HI Cindy, I am happy to take you hand and pledge to be smoke free today NMW!! I am on day three and feeling strong. I courageously extend my hand to the nEXt brave soul!! Love the new page Terrie!! Mark I take your hand and pledge not to smoke. I offer up my free hand to the next person in line to take the pledge. Hi Stephanie. I take your hand and pledge not to smoke this day and forever more. I extend my hand in support to the next person. . It is probably a timing issue Ellen, we were typing at the same time, does really matter? We are going to hold tight, and all do what we are promising, do not smoke! Jackie, I gladly take your hand as I join in the pledge to not smoke today no matter what and I reach out my hand to the next person to join us in today's pledge. Louis, I am very happy to take your hand as I pledge not to smoke NMW. I offer my free hand to the next person that wants to pledge to stay smoke-free! Have a wonderful smoke-free day!